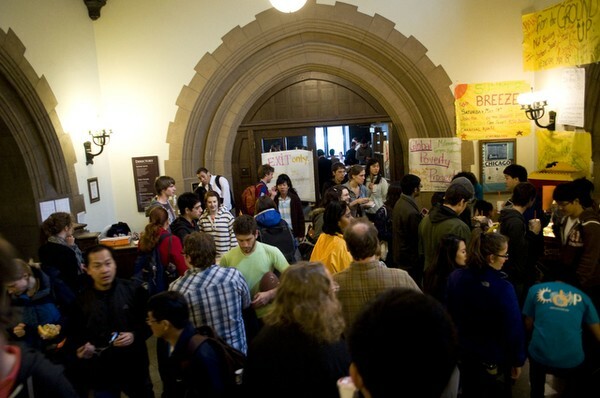 The breeze was blowing Saturday, but students attending the Summer Breeze festival were protected from the chill inside Mandel Hall. Rain and heavy wind prompted the Major Activities Board (MAB) to relocate the Summer Breeze concert into Mandel Hall last Saturday, limiting one of the most popular events on campus to 1,000 students. MAB organizers began precautionary preparations for an indoor concert nearly a week before Summer Breeze. Third-year and incoming MAB chair Sam Abbott said that they considered holding the concert outside in the rain, but decided to move the concert into Mandel Hall at 7 a.m. on Saturday due to safety concerns of having electronic equipment outside in the rain. The strict capacity of Mandel Hall meant that only the first 1,000 students to purchase tickets would be allowed to enter the concert, leaving between 400 and 500 students with void tickets that they can receive a full refund on next week. Joh noted that the fountain in Hutch Courtyard was flooded after the concert and that there was nearly an inch of water on the stage that had been set up outside in case Saturday’s rain held off. It would have been impossible to reschedule the concert, which featured performances from The Walkmen, Milkman, Wale, and Crystal Castles, because all of the acts are booked months in advance for one particular day. The rain also took a toll on MAB financially. In addition to the tickets that will have to be refunded, the Board was also unable to sell any tickets at the door, usually one of the Board’s biggest selling opportunities. Since money from Summer Breeze ticket sales go towards MAB’s budget the following year, Joh said that MAB was working with ORCSA to minimize fund losses from this year’s concert. 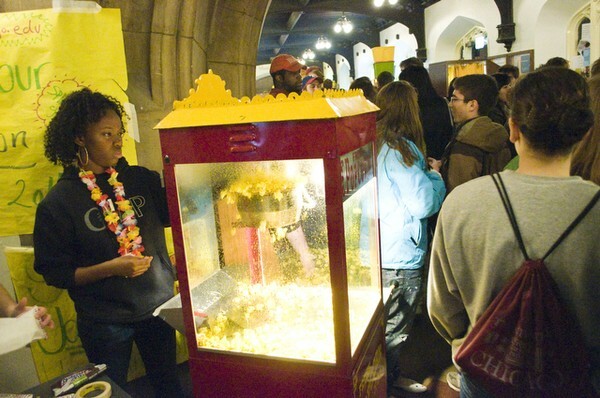 The Council on University Programming (COUP) was also forced to move their annual Summer Breeze carnival from the quads into the Reynolds Club because of the heavy wind and rain. While COUP was able to relocate RSO performances and food tables inside, the carnival could not host large inflatable rides. The beer garden, managed by MAB, was cancelled entirely. “I think people understood the circumstances, and we did the best we could inside,” said fourth-year and COUP chair Diana Li. 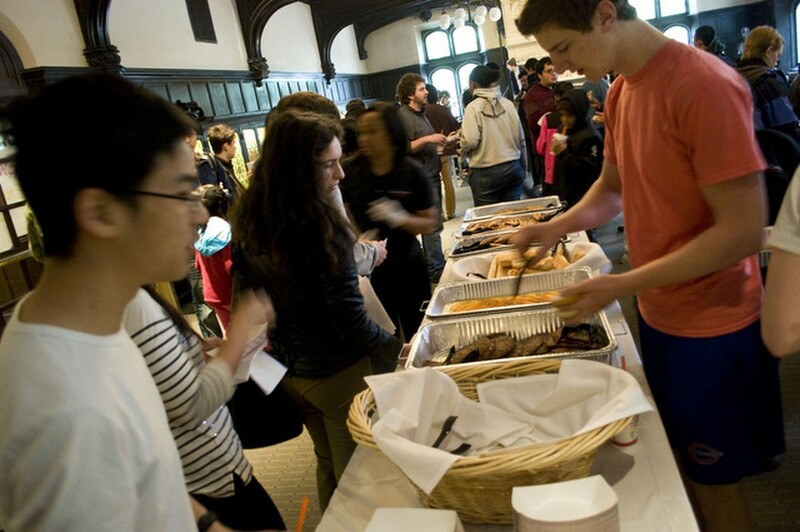 Li also noted that the mechanical bull ride and inter-fraternity cook-off remained outside in Bartlett Quad. This year also marked the second year that MAB sold Summer Breeze tickets through the SG run uBazaar. The online system generated some confusion on the morning of the concert, since the electronic ticket number did not necessarily correspond with the order in which the ticket was purchased. This meant that a student with a ticket marked 13 did not purchase the 13th ticket, and may not have had his ticket honored. “Obviously there are some bugs,” Joh said, adding that the system had trouble handling the volume of ticket requests. To ensure that the 1,000 available tickets were fairly distributed, MAB members hand checked time stamps for each ticket sold. MAB posted lists online and in the Reynolds Club of students who had valid tickets. Only the first 200 people to arrive at the concert received yellow wristbands granting them access to the open dance area in the front of Mandel Hall, while the rest of the audience was restricted to the seating area. While security guards stood in the aisle during rapper Wale’s set, restricting those without a yellow wristband from entering the dance area, security guards did not enforce the separation during Crystal Castles’ set. In the middle of Wale’s set, rumors that Chicago Bulls point guard and 2010-2011 NBA Most Valuable Player Derrick Rose was backstage spread through the audience. As chants of “MVP!” rang out, Rose, a native South Sider, joined Wale on the stage and thanked the audience for supporting him.